And now we know what all the fuss was about. 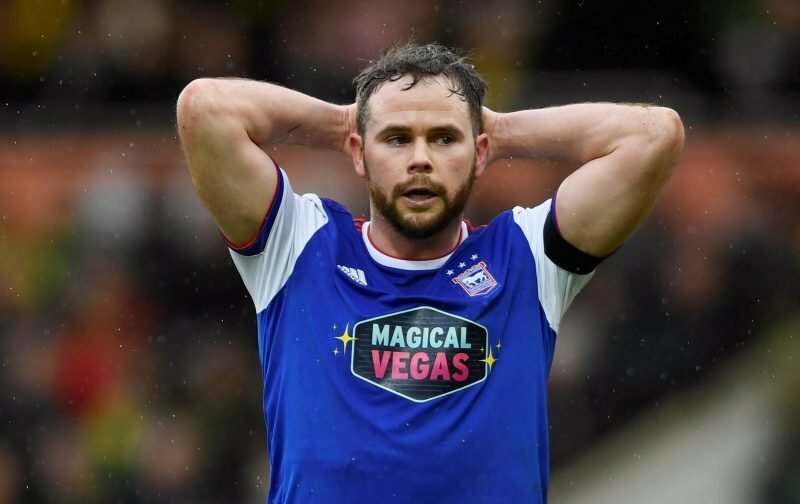 Irish midfielder Alan Judge has signed an extended contract and suddenly everything in the garden is rosy. Well, it is indeed very good news – although if we are brutally honest, he has not hit the heights of his achievements at Brentford so far. Now, however, we have time on our side to see the very best of this player in a league below, if of course, he can remain injury free? It is ironic that he finds himself back at Portman Road, after what happened to him in 2016, when local lad Luke Hyam broke his leg with a crunching tackle. He suffered multiple breaks in his left leg which took a very long time to heal. Prior to this injury, he had scored a season’s best 14 goals during the 2015–16 and he also led the club in assists for the second time that season too. Town fans will be hoping he can replicate this kind of form next term in Division One, and it is a real boost to have a player of his quality on our books. I think we can expect more exciting announcements shortly, and I have heard from a very reliable source at the club that supporters can expect significant changes to their season ticket pricing arrangements; along with the news that is is possible that Will Keane could sign on the dotted line as well. Fans over 60 will also be entitled to club discounts, and there will be lots of special promotions aimed especially at Town’s younger generation; presumably to boost gate receipts. And how can Marcus Evans cover all this? Well, for a start, football agents will have to look elsewhere if they want to make a killing. This season, under both Paul Hurst and Paul Lambert, Town have spent almost 800,000 on agent fees, and this will now become largely a thing of the past. The Blues will rely much more heavily on their youth policy and getting players through into the first-team action. Lambert said as much at his weekly press conference yesterday, arguing that although the under 18’s and under 23’s top their respective leagues, it counts for nothing if they don’t progress to the first team squad. “The trophy”, he explained is making it there, and this is why he depends on Bryan Klug and his coaching staff to make it happen. Tomorrow Town travel to Bolton Wanderers and Teddy Bishop, Will Keane and James Collins could all feature for Ipswich at some stage, after they returned to training. I doubt that any of them will start the game but they may be on bench warming duties; along with Emyr Huws, Jon Nolan, Ellis Harrison and Dean Gerken. The Lancashire side has injury worries of its own and defender Jack Hobbs (back problem), midfielder Luke Murphy (calf injury) and striker Yanic Wildschut (sprained ankle) are all doubts at the moment. Their players failed to train until Thursday, after taking action against unpaid staff wages but this dispute has now apparently been resolved, and the game goes on tomorrow afternoon as originally planned. We will come up against former Blues loanee Callum Connolly who scored Bolton’s second goal in their rare 2-1 win against QPR last week and he is always a threat going forward as we know. Bolton are looking to win consecutive league matches for the first time since August 2018, but they have a poor track record against Ipswich and have not won in eleven attempts against the Blues so the omens are looking good.